As we step into another year, shaking off the usual end-of-year hangover and vowing to do better over the next twelve months, are you planning to break new marketing ground in 2019? Maybe just make a few tweaks to a tried and trusted strategy? Or are you just going to keep on doing the same old thing? Whatever your appetite for change, it’s always good to know what your options are. So in this article, we take a look at 4 key trends which are likely to demand marketers’ attention as they battle to keep and grow their customers this year. So brush those mince pie crumbs off your desk, grab a brand new notepad from the stationery cupboard and let’s get started. Any marketer worthy of the name will always be looking for ways to personalise communications to their customers or prospects. Past behaviours, purchases, demographics, spend frequency and value all go towards informing a better customer experience. Storing all this data has been made easier by having a Single Customer View, but if you’re still processing the data manually or not all touchpoints have automatic access to the same up to date information, you could be missing valuable sales opportunities. There’s an increasing need to make all communications not only better and more personalised, but faster – available in an instant. One way to achieve this is to build an Engagement Hub. An Engagement Hub ensures that every customer receives a personalised experience at every touchpoint, including your website or via your call centre. Not only can your website now seamlessly adapt to reflect each individual customer, but your call centre agents can also receive prompts to know the next best action for every customer they speak to, and what their website activity was. We built an Engagement Hub for Ageas, the insurance provider, who saw an increase in ROI of almost 200% on motor insurance, including a 40% uplift in conversion on incomplete motor quotes. Watch our short video here for an explanation of how an Engagement Hub could help your improve the customer experience, wherever and however they interact with your business. Attribution is nothing new, but it remains an essential part of a marketer’s toolkit. Without accurate attribution reporting, you’re not able to confidently allocate your marketing budget to the right channels and to the right customers. And it’s become even more important – and difficult – to get a clear picture with the proliferation of channels. There are various flaws to traditional approaches to attribution. There may be sub-conscious or even conscious channel bias, double counting of sales where a customer has come to you through more than one channel, a lack of data, or the model may not be able to combine online and offline channels. Multi channel attribution needs to look at all marketing stimuli – online, offline, above the line, through the line, everything. And it needs to be unbiased. If you’re not sure that your model is telling you the full story, you might want to read our free white paper, which will give you some tips on what to look for. Artificial Intelligence (AI) is one of the fastest growing trends. It’s been eagerly adopted by customers in the form of virtual assistants (Siri, Alexa and their friends) and in music streaming services which ‘learn’ what we like to listen to, to give just a couple of examples. But it’s now big business for marketers, as they seek to find ways to process the mass of data they hold about customers to make fast, but educated, decisions about how, when and what to communicate. Automated, real time communications can now ensure that your customers are getting the right message at the right time. Your website can adapt for each individual customer based on who they are, and your call centre agents can even be prompted as to the ‘next best action’ for every caller. 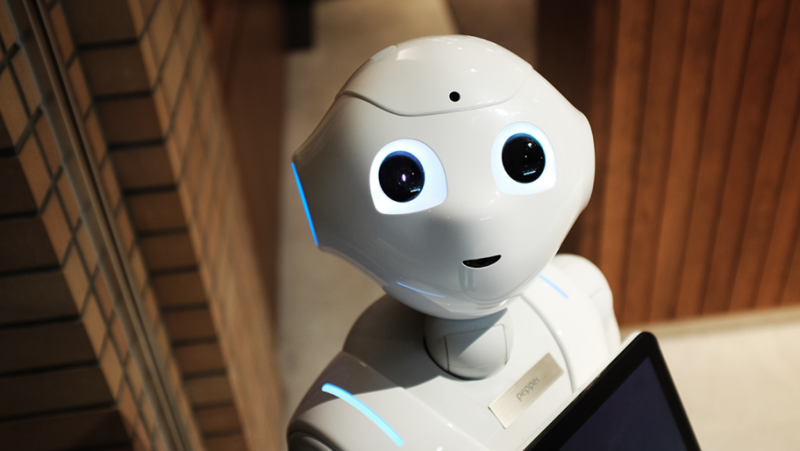 As AI gains momentum, you’ll want to consider how you adapt content across all touchpoints, tailor your customer service or personalise all your communications. Content can become fluid in all your interactions, so that your customer or prospect no longer needs to wade through irrelevant products or services before finding what interests them. You can read more of our thoughts on AI here. Regulation regarding the use of customer data remains a key agenda point, not just at board level, but for marketers at all levels. GDPR may now be business as usual, but it’s critical not to take your eye off the ball. With the likes of Facebook, TSB and Equifax all having incurred the wrath of the ICO in recent months, it’s clear that action will be taken against those who transgress the data protection commandments. But there’s more to come. The delayed e-Privacy Regulation is set to bring the same regulations to B2B marketing as to consumer marketing, meaning that consent would be needed for sending marketing emails. More importantly for B2C marketers, the way in which cookies are accepted will change. At present, a website can display a banner advising that cookies are being used. However, the new regulations propose that cookies should be explained and accepted at an individual level. This not only threatens to make websites cumbersome for the customers, who are unlikely to review and accept a number of individual cookies but could also spell the end of digital advertising as we know it today. The final draft of the legislation and the exact timing are still to be determined, but it’s important to stay informed with progress. Businesses had two years to prepare for GDPR and yet many were still scratching around for solutions at the last minute – and in some cases, even later. So, whatever your marketing ambitions for the year, we encourage you to push the boundaries of what’s possible and drive up your performance figures to an all new high. We wish you the best luck – and if you ever need us, you know where to find us.